Offering you a complete choice of products which include electronic float valve, mercury float valve and boiler safety valves. 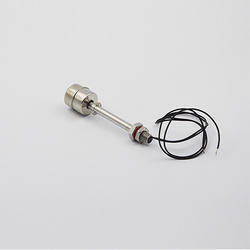 We manufacture superior quality Electronic Float Valves which are available in different sizes and shapes such as spherical, dish and cylindrical shapes. They are accurately designed and provide optimum performance. These are operated with good quality screws. Our products are manufactured using standard quality raw materials. These are compact and non-abrasive. They have a smooth finish and are easy to install. 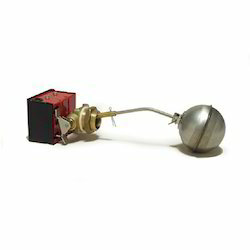 We provide quality Mercury Float Valve at a reasonable price to our valuable customers. Our product is well known for its accurate design and compact size. It is easy to install and requires low maintenance. It is highly efficient in controlling high pressure and consists of supreme quality rubber seat and washers. It is highly flexible and suitable for both high and low pressure. It provides hassle free service to our valuable clients. We are the manufacturer and supplier of high quality Boiler Float Set Valves. These valves are used in hydraulic industries. Their main function is to regulate the flow of fluid. We manufacture a wide range of Boiler Float Set Valves. These valves are highly efficient and manufactured using high quality raw materials are highly durable. In order to provide quality to our clients, we send our products through a number of quality checks. We supply these valves at a very reasonable rate.